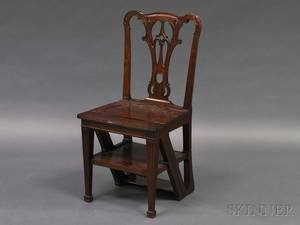 French, Late 19th/ Early 20th century. 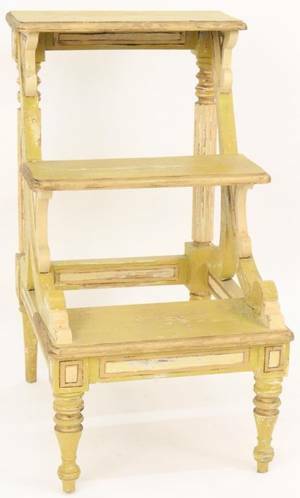 Neoclassical style library steps composed of wood with antiqued and weathered light olive greenish tan to cream painted finish with muted gilt accents. 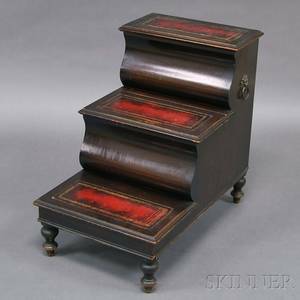 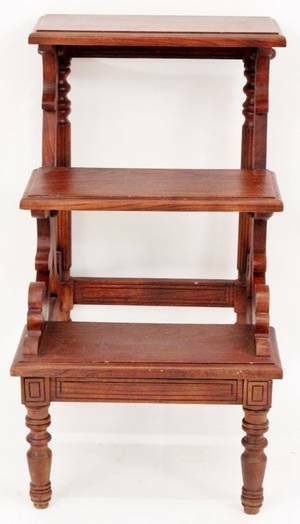 Library steps with scrolled arabesque ornamentation on sides and fluted and turned back shaft supports. 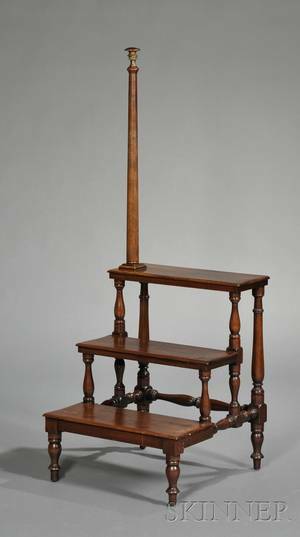 Height 31.25", width 17.75", depth 21". 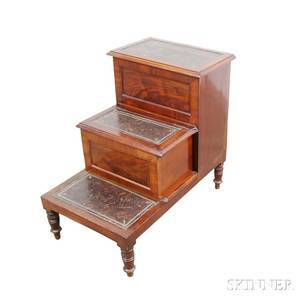 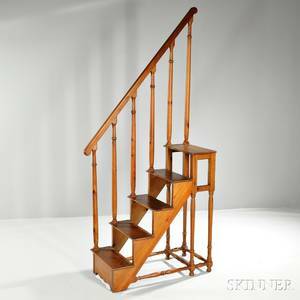 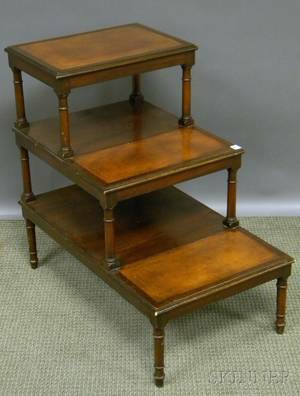 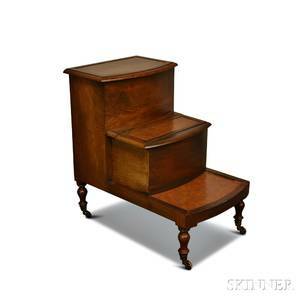 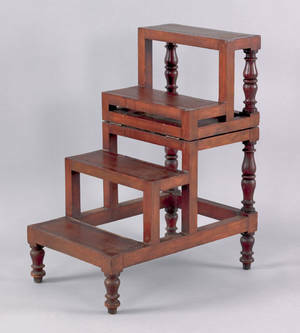 Regency mahogany folding library steps, early 19th c.